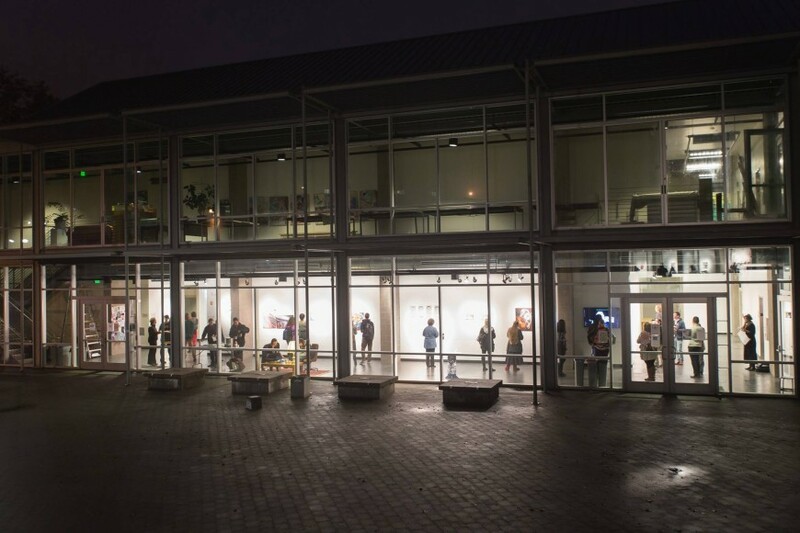 The Center for Visual Arts galleries at SOU give students and community artists the opportunity to show their current work. The CVA Galleries are coordinated by a student Gallery Director and Assistants. The Retzlaff Gallery is the white cube gallery with no windows and three blank walls for maximum hanging space. This gallery is perfect for installations and video. 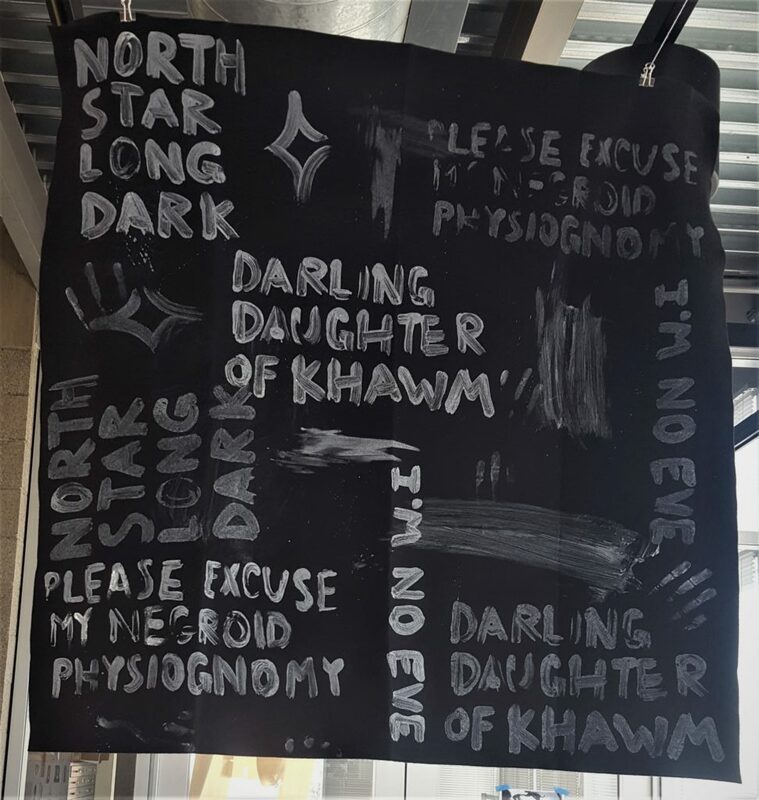 It is often reserved for BFA students to present their final body of work before graduating, but is also used by community and student artists depending on availability. 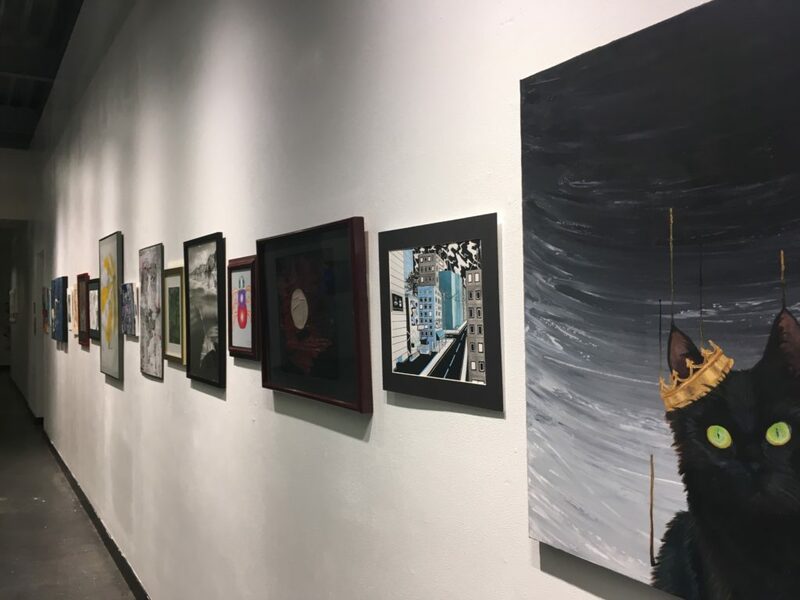 The Thorndike Gallery is designated for local and out-of-state artists, as well as student work depending on availability. Abundant wall space and three panels near the floor to ceiling windows provide the gallery with natural light and high visibility to passerby. The Meyer Memorial, Art Department Chairs, and Boise-Cascade Galleries may be used for student artwork either in single, group or classroom exhibits. These areas are also used by local schools and selected community groups as an alternative space for their artwork. Friday, April 5th, 2019, 5:00 p.m. – 8:00 p.m.
With a title derived from two epithets for biracial people, this show illustrates my identity as an artist straddling two very different cultures. It’s a reflection on my experiences with mental health, race, gender roles and child-rearing, and how they’ve been influenced by my family (split between Republic, Washington and Charleston, South Carolina). Through this work I have realized that I am not “two halves” of one thing, but one whole “something else”. The state of being united or joined as a whole. A thing forming a complex whole. Due to the 50th Anniversary of SOU’s relationship with the Universidad de Guanajuato, the CVA Galleries is hosting a show in commemoration of that relationship. Our theme this year is unity. Supporting the tie between both universities, the students and community of SOU have come together to celebrate what makes us unified. Each year, for more than 40 years, high schools in the Rogue Valley choose their 10 best pieces of student artwork to be showcased in the Best of the Best Student Art Show. Sponsored by school districts and Southern Oregon University Youth Programs, this competition provides students with the experience of a professionally juried gallery show, an all-day Student Art Seminar and a chance at being awarded a ‘Best in Show’ blue ribbon.